Made of good material,durable and comfortable to wear. Sync phone or watch message. Can check your phone calls after you connect with the Bluetooth. Incoming messages from the applications on the connected phone, the watch will alert you to read it. Use phone camera Bluetooth take photos,can remote by watch. 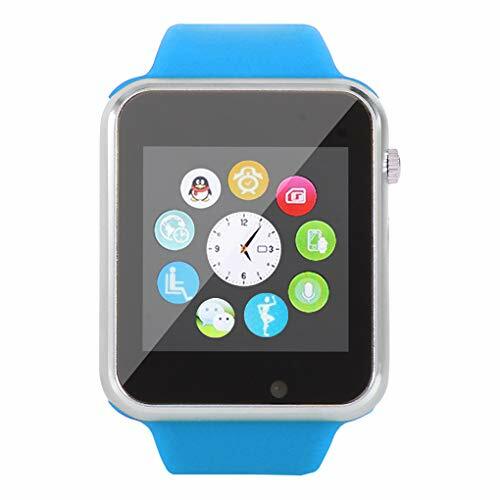 Multifunctional watch, including steps counting, anti lost, sleep reminder, sleep monitor, Alarm, file manager, calendar, image viewer, etc. Suitable for Android, for IOS system. Made of good material,durable and comfortable to wear. Sync phone or watch message. The product can check your phone calls after you connect with the Bluetooth. Incoming messages from the applications on the connected phone, the watch will alert you to read it. Use phone camera Bluetooth take photos,can remote by watch. Suitable for Android, for IOS system. 64 songs ringtone chord. If you have any questions about this product by KOROWA, contact us by completing and submitting the form below. If you are looking for a specif part number, please include it with your message.